'Blenny on Pink' - Winner of the Think Pink contest macro category and 'Best Picture of the Year' finalist in the World Shootout. 2nd place in the ‘Wide Angle’ category of the Asia Pacific UW Photo Challenge. Gold in the ‘Divers’ category of the DEEP Indonesia photo contest. Silver in the ‘Animal Behaviour’ category of the DEEP Indonesia photo contest. Bronze in the ‘Animal Portrait’ category of the DEEP Indonesia photo contest. Selected for the Nat Geo Your Shot Daily Dozen on April 4th. Gold Medal in ‘Wide Angle - Natural Light’ category of underwaterphotography.com’s annual contest. Silver medal in ‘Wide Angle - Natural Light’ category of underwaterphotography.com’s annual contest. 1st place in the Festisub Festival de L’Image Sous-Marine de Neuchâtel, category ‘Duo mer’. Nat Geo Your Shot ‘Photo of the Day’ on 22nd February. Winner in 'Black and White’ category of the Underwater Photographer of the Year. Third place in ‘Macro’ category of the Underwater Photographer of the Year. Commended in ‘British Waters - Macro’ category of the Underwater Photographer of the Year. Gold Medal in the ‘Black and White’ category of the Our World Underwater contest. Silver Medal in the ‘Macro - Unrestricted’ category of the Our World Underwater contest. Silver Medal in the ‘Macro - Traditional’ category of the Our World Underwater contest. Runner Up in the British Photography Awards, ‘Water Life’ category. Winner of the British Society of Underwater Photographer’s ‘Sharks’ theme monthly contest. Honourable Mention in the ‘Coldwater’ category of the Ocean Art contest. Commended in the British Society of Underwater Photographer’s ‘Anything Goes’ theme monthly contest. 3rd place in the ‘Open - Macro’ category of the Anilao Underwater Shootout. Runner-up in the British Society of Underwater Photographer’s ‘Best of British’ monthly contest. Published as part of the Nat Geo Daily Dozen on October 9th. Featured on Scubaverse in their Underwater Photographer Interview series. Runner-up in the British and Irish Underwater Photographer Championship Close-Up category. Highly Commended in the British and Irish Underwater Photographer Championship Close-Up category. 2nd place in the British Society of Underwater Photographer’s monthly contest, theme ‘Underwater Excellence’. Highly Honoured in Nature's Best Photography Windland Smith Rice International Awards in the Oceans category. Published as part of the Nat Geo Your Shot Daily Dozen on 27th August. Winner of the macro category in the second annual Think Pink photo competition. 3rd place in the British Society of Underwater Photographer's monthly contest, theme 'Bokeh'. 3rd place in the macro category of the BSAC Torbay Splash-in. Featured photographer in Chiiz magazine volume 15 Underwater Photography. 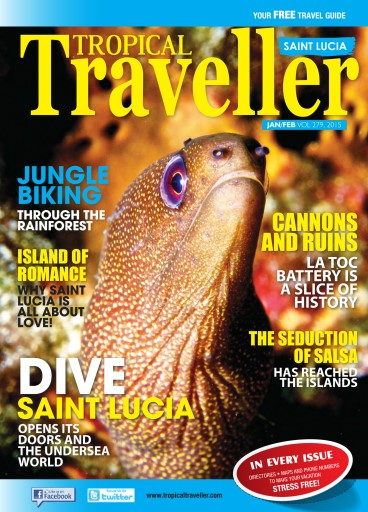 Scuba Diver Magazine Photographer of the Week - feature and interview. Bronze Medal in the Macro Close-Up category of underwaterphotography.com's annual awards. Highly Commended in the Submerged World category of the Memorial Maria Luisa photo contest. Featured as the Picture of the Week in The Sunday Times 18th February. Winner of the British Waters Macro category in the Underwater Photographer of the Year. Finalist in the British Waters Wide Angle category in the Underwater Photographer of the Year. 3rd Place in the Macro category of the Asia Pacific UW Photo Challenge. Top 10 in the Creative category of the Asia Pacific UW Photo Challenge. Finalist in the 'Best Picture of the Year' category of the World Shootout. Featured amongst the best nature images of 2017 by Photografie magazine. Published as part of Nat Geo Your Shot Daily Dozen on 5th January. 'Battle of the Tompots': Winner of the Advanced British & Irish category at the BSoUP/DIVER annual print competition and Highly Commended by the judges. Also winner of the British Waters Macro category in the Underwater Photographer of the Year, 3rd place in the Macro category of the Asia Pacific UW Photo Challenge and Picture of the Week in The Sunday Times. Five images shortlisted and two finalists in Outdoor Photographer of the Year. Runner-up in underwater photography.com's December contest. Winner Royal Photographic Society monthly competition theme 'History'. Published as part of Nat Geo Your Shot Daily Dozen on 27th November. Winner of the Advanced British & Irish category public vote in the BSoUP/DIVER annual print competition. Highly Commended by judges in the BSoUP/DIVER annual print competition. Published as part of the Nat Geo Your Shot Daily Dozen on 19th October. 4th place in BSoUP's 'Underwater Excellence' monthly competition. Published as part of the Nat Geo Your Shot Daily Dozen on 13th September. Photo of the Day on National Geographic Your Shot 22nd August. Published as part of the Nat Geo Your Shot Daily Dozen on 12th June. 'Blenny on Purple' wins the Weekly Hotshot on underwater photography.com in week 20. Opera Segnalata - Highlight in the People category of the Oasis Photo Contest. Wildlife/Animals Nominee in the Fine Art Photography Awards. Honourable Mention in the Fish Behaviour Category of Ocean Geographic's Pictures of the Year. 4th Place in the Wreck category of Scubashooters' Deep Visions contest. Published as part of the Daily Dozen on Nat Geo Your Shot - 14th April. 4th Place in BSoUP's March monthly competition - Theme Portfolio. Commended in the Open Wildlife category of the Sony World Photography Awards. Commended in the Open Nature category of the Sony World Photography Awards. Top 10 Wide Angle image in the Asia Pacific UW Challenge. Finalist in the Behaviour and Portrait categories of Underwater Photographer of the Year. Featured as Dive Photo Guide's 'Photographer of the Week'. Honourable Mention in Ocean Art contest Marine Life Behaviour Category. Selected for the Nat Geo Your Shot Daily Dozen on 26th of December. Selected for the Nat Geo Your Shot Daily Dozen on 16th of November. 2nd Place October monthly contest on underwater photography.com. Winner of weekly hot shot on underwaterphotography.com for week 41, 2016. Staff Pick in #BigBlueEarthDay contest run by Mission Blue. Runner-up in ‘Macro - Not Swimming’ category in underwaterphotography.com's Annual Awards. Bronze medal winner 'Divers' category for in underwaterphotography.com's Annual Awards. 3rd Place February monthly contest on underwaterphotography.com. 5th place in Ocean Art contest 'Mirrorless Behaviour' category. 5th place British Society of Underwater Photographers January monthly competition. Selected for the Nat Geo Your Shot Daily Dozen on 4th of January. Monthly winner for December on underwaterphotography.com. 'The Safest Place' - Commended in the Open Wildlife category of the Sony World Photography Awards and Honourable Mention in Marine Life Behaviour category of the Ocean Art Contest.